CAIRO: The real estate industry has gone through different stages since the 1980’s while gaining an increasing importance for the Egyptian economy. Real estate developers operating in Egypt fall into four categories: public sector companies, private sector Egyptian companies, multinational companies and individuals building their own houses. The sector used to be dominated by state-owned companies, but this has changed with the introduction of privatization program in the 1990s that has enabled the private sector to take the greater share of production. As of 2014, the improved political and economic stability in Egypt has created new confidence in the real estate market. Consequently, the Cairo real estate market reports improvement in all sectors. Additionally, government and real estate officials in Egypt are looking forward to a boost in the market following recent investment pledges and new measures implemented in order to revive the sector. The Egyptian market is starting to witness intense competition between the investment companies related to huge tenders and contracts for the implementation of a range of real estate projects. This will create a healthy competitive environment that will have a positive impact on the Egyptian economy. 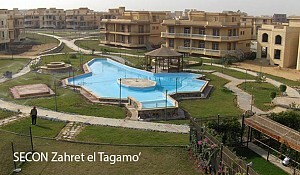 It is expected that the prices of Egypt’s property units will increase by up to 15 percent by end of 2014. A high demand on property units, the hike in the prices of construction materials and the strength in the value of the Egyptian pound against the US dollar are the main reasons behind the increase. Darwish Ahmed Hassanin, CEO of Saudi Egyptian Construction Company (SECON), told Marcopolis that the company is forecasting a rising real estate market as a function of the overall growing economy. Hassanin’s expectations are that much initial growth will occur in Cairo and that SECON also expects to see growth in southern Egypt. "Our new president has a program for the extension of the populated area of Egypt. Currently, 90 million Egyptians occupy only 5 to 7 percent of the whole land area of Egypt,” the SECON’s CEO said. "We would like to see extensions over the territory according to a very strict, clear and studied program in order to extend the populated area of Egypt to at least 20 percent of the territory within approximately ten years. This will create new jobs and new investments for each governance." Recent analytical reports on Cairo’s real estate market for the second quarter (Q2) of 2014, show some of the following facts: The residential sector was the strongest performing sector in the market during Q2 2014; villas witnessed the strongest increase—of 17 percent in New Cairo; the hotel market is currently close to the lowest level of its cycle. The level of tourist arrivals in the first four months of 2014 (January – April) declined by about 26 percent. 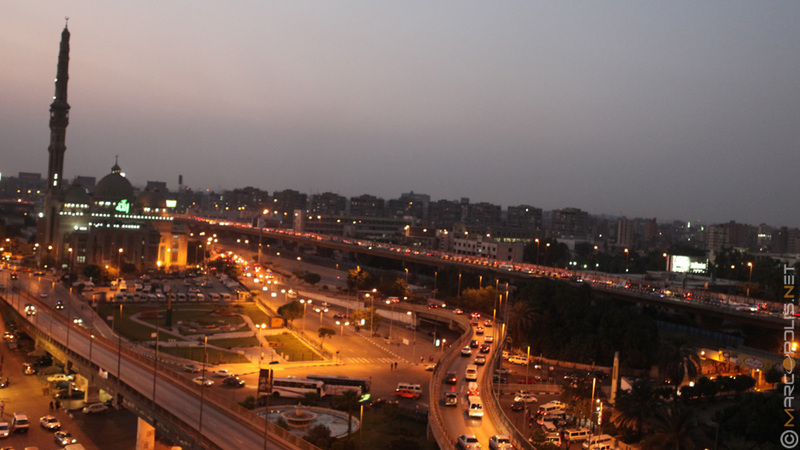 Additionally, there were no major changes in rentals in the office sector; demand remains active with the receipt of inquiries from international customers for additional office space in New Cairo and 6th of October City; the supply also increased by approximately 25 percent, compared to 21 percent in Q1 2014. There are myriad reasons for the improving real estate climate – with domestic stability and international confidence being the two key factors reported by analysts and those in the industry. These two respective factors were boosted by the presidential inauguration in June as well as the upcoming parliamentary elections that have clarified the path to reforms. As a result of international confidence, Gulf investments, particularly the recent ones from Saudi Arabia and the UAE, are beginning to flow into the sector. One such FDI program is an agreement between Egypt and the UAE to invest in projects focused on social housing as well as public facilities such as energy, health and agriculture. As noted by the SECON’s CEO, the Egyptian government is currently considering allocating new land for real estate investment as a step towards expansion outside cities and creating new opportunities for Arab Gulf and Egyptian investors alike. Other domestic measures taken to revive the sector include banks offering mortgage loans again after a two-year halt due to the political crisis in the country. Also sector experts note, the large gap between supply and demand—the average 1 percent increase in the population creates a constant demand. There are around half a million marriages every year, which drive up the demand for housing, along with other factors. The Egyptian market needs at least 800,000 residential units to meet the current demand. In a move that was expected to revitalize the construction sector, the government announced the construction of one million residential units for low-income youth. The project is expected to be implemented over a period of five years. “Over the last three years, the real estate sector and other investments have been really affected by the situation here in Egypt. We are hoping that now, after the elections for the new president and with the new parliament… Egypt will have a stable political situation,” said Hassanin. 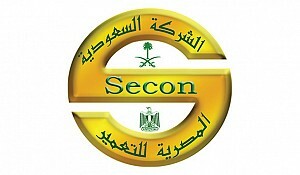 SECON was established in 1975 by the Saudi and the Egyptian governments. It is split equally by both parties. 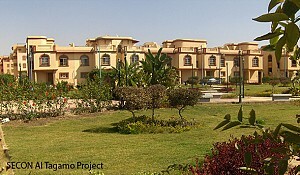 The company was established for real estate investment in Egypt. 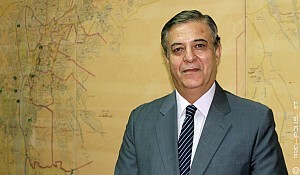 Hassanin added: "Real estate investment is an important part of the whole economic situation in Egypt. …I consider the real estate sector as a very good indicator of any economy, in any country and particularly Egypt. 'Many Arabic people want to own an apartment in Egypt; the prices of apartments in Egypt are good and fair, which make it a very desirable location." 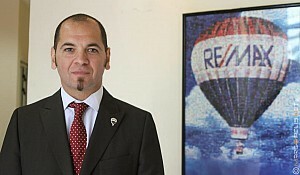 Concurring with Hassanin and with analysts forecast, Khaled Nasser, Regional Director of RE/MAX Egypt, the leading real estate agency in Egypt, told Marcopolis that RE/MAX has robust expectations for the Egyptian market going forward. "My evaluation of the industry in general is that it is very strong. I believe this for many reasons: first of all, Egypt has the highest population of all the countries in this region and over 60 percent of our population is below the age of 30, young people. A large proportion of the population is therefore looking to grow or upgrade their real estate assets. There are a lot of newlyweds and other couples looking for new homes. As a result, there is always a demand for real estate in Egypt." For Nasser, when the average Egyptian wants to invest somewhere, they go to real estate rather than putting their money into bonds or the stock market. Large builder and real estate company SODIC reports as well that the best sales are in residential because of pent-up demand and like Nasser noted, because of a cultural preference for land and housing investment, according to SODIC’s Managing Director Ahmed Demerdash Badrawi. "Two reasons that have boosted demands are that we have a culture that, as parents you generally buy homes for your kids as well. It is the duty of the parents to set their kids up in life with at least a roof above their head,” Badrawi told Marcopolis. “So they tend to buy early for their kids as well as for themselves - for those who are looking to move from the congested and polluted urban city into the suburbs, which are more planned."